The Buttermilk Pancakes were very enjoyable. 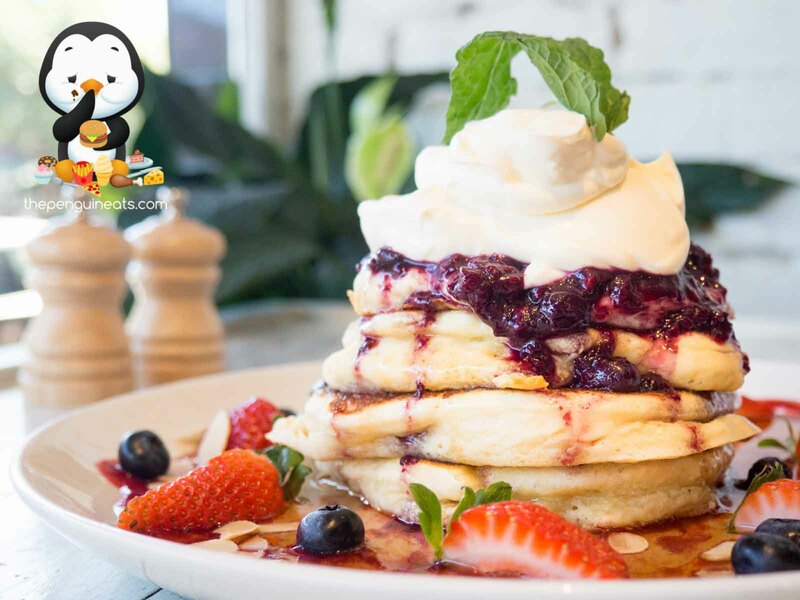 Piled high, the stack of thick pancakes were generously topped with a huge drop of double cream. Dismounting the tower, we were rewarded with exceptionally fluffy and spongey pancakes that had just the right amount of sweetness. Accompanied by a berry compote, the slight tartness was well juxtaposed by an abundance of sweet maple syrup. Coupled with the crunch of fresh fruits and almond flakes, this dish offered the perfect balance in both flavour and texture. A very solid pancake dish. 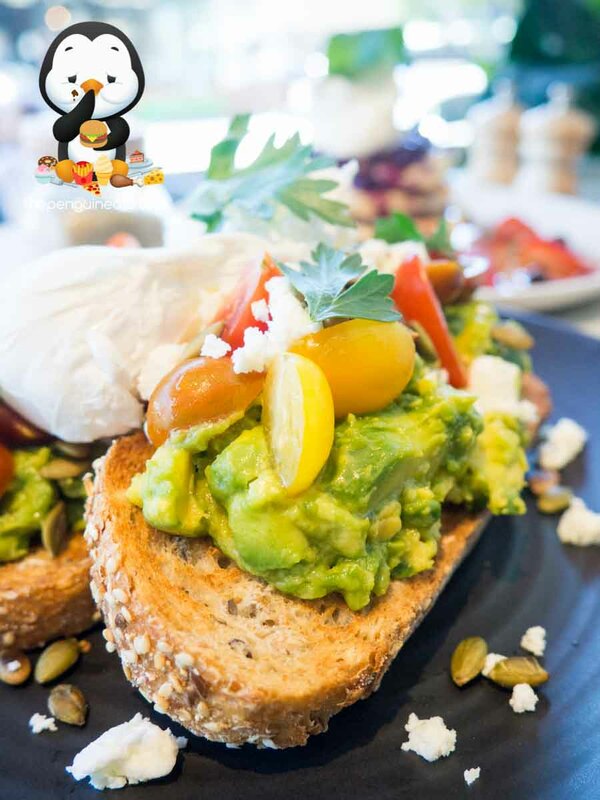 We also enjoyed the Smashed Avocado. 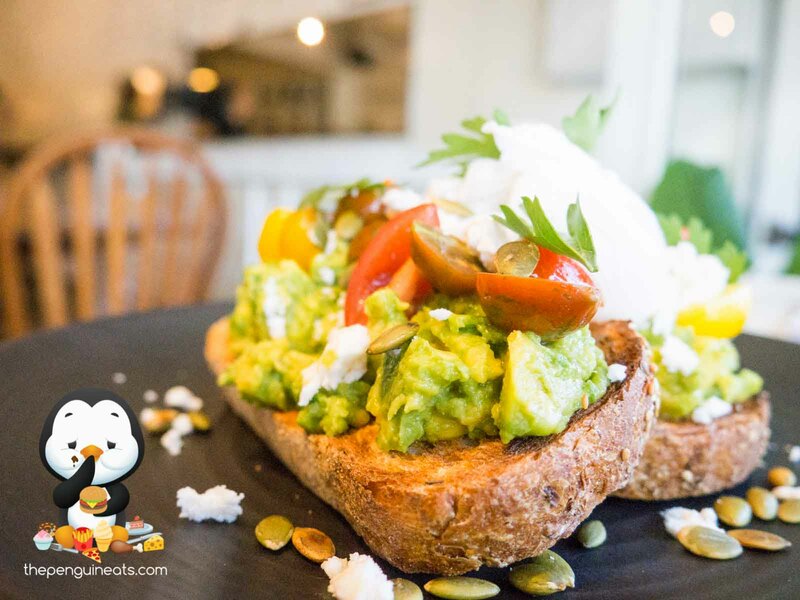 Generously loaded on top of the wholegrain toast was an abundance of fresh and wholesome avocado. This was served along with fresh and exceptionally juicy Roma tomatoes, which provided sudden bursts of freshness with each bite. With occasional bits of light yet creamy feta cheese dotted throughout, as well as two perfectly poached, very runny eggs, this dish was healthy, tasty, and filling all in one. The Banana Smoothie didn’t disappoint either. Beautifully presented, the drink had a light yet ever-present banana aroma throughout. 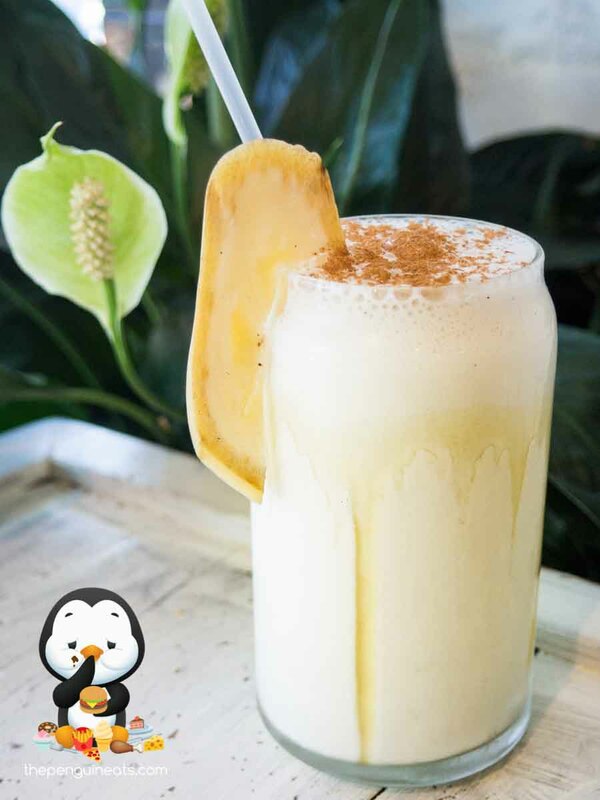 Thick and creamy, the combination of yoghurt, honey and cinnamon provided an interesting and refreshing taste, a very welcome change from traditional milk-based smoothies. 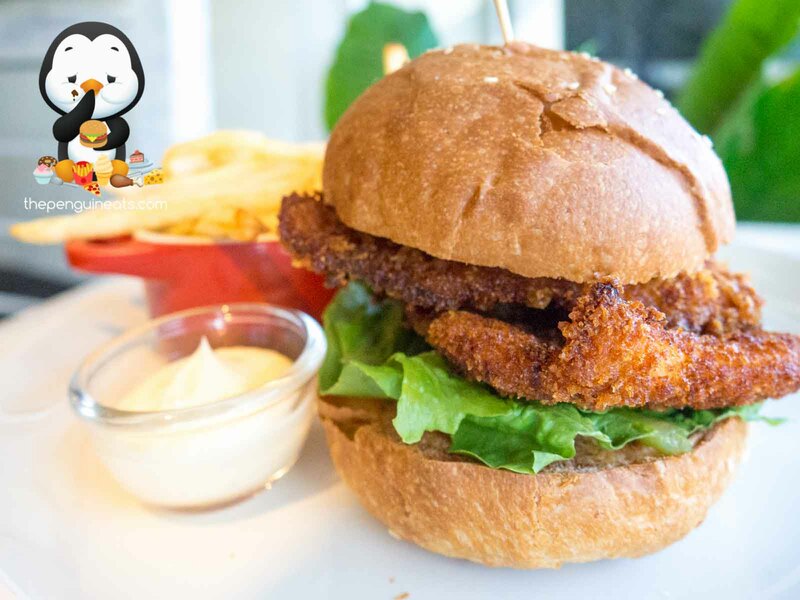 We found the Chicken Katsu Burger less impressive. While the Panko Crumb of the fried chicken provided an incredible crunch and was full of flavour, the chicken within was drier, though not tougher, than expected. 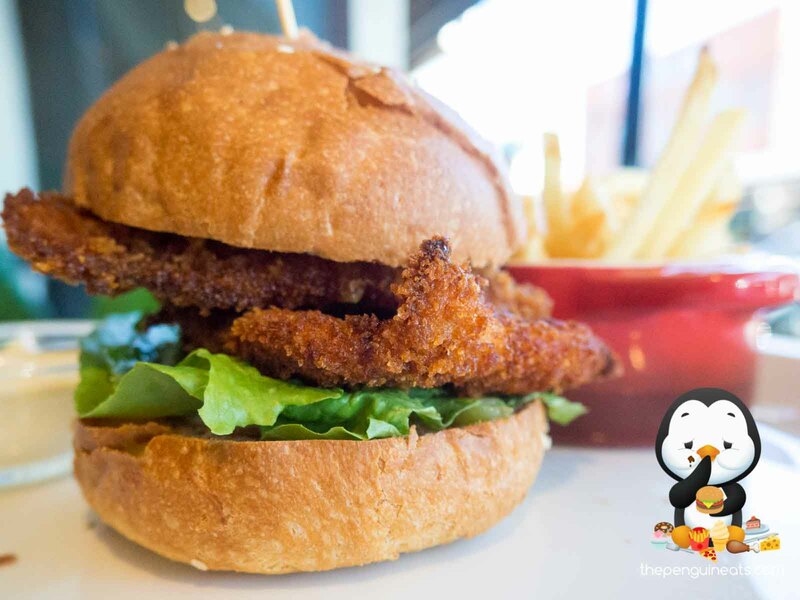 With the coarseness of the fried chicken, we felt that much more mayo was needed to balance out the burger. A more buttery brioche would also be welcome. 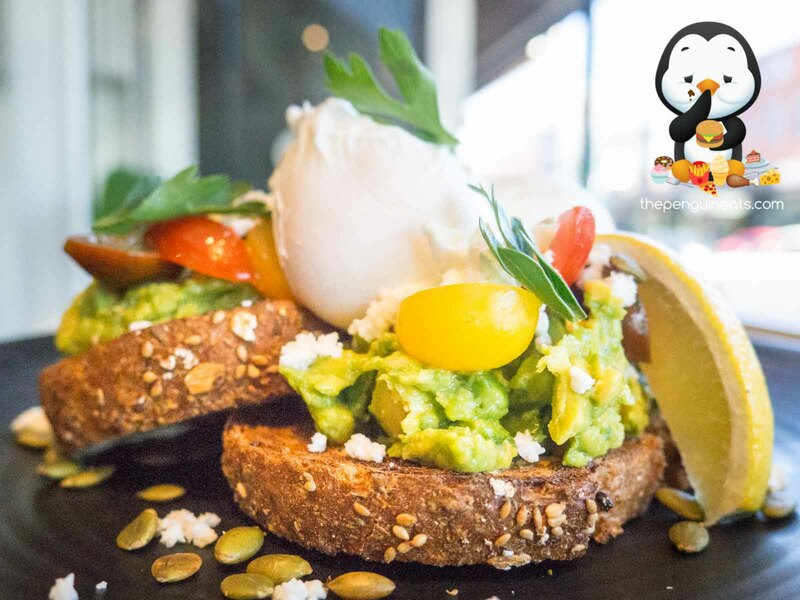 As a newly established cafe that’s still trying to find its feet, One Thirty Two overall provides a solid brunch offering. While the menu isn’t overly creative, the execution of the simple, honest dishes were on point for the most part and we definitely found our meal fulfilling. Sure. 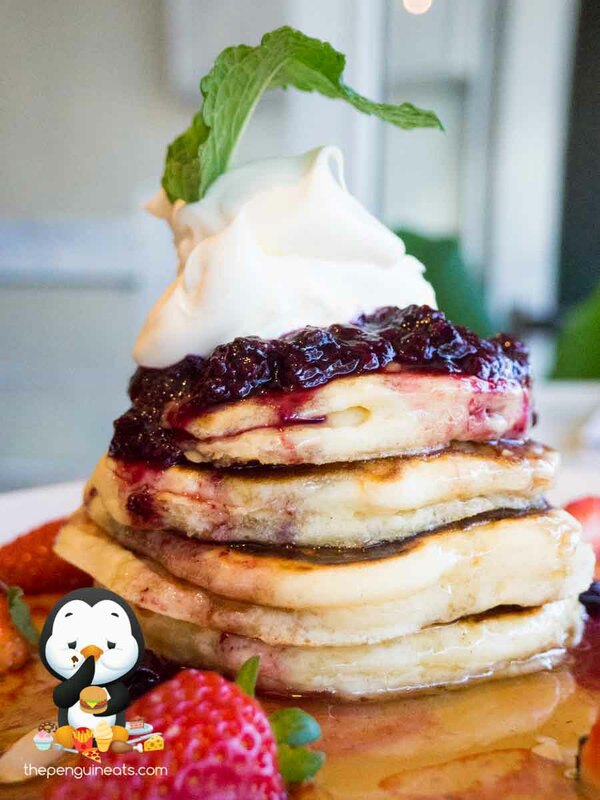 I’d definitely return for more of those huge stacks of fluffy pancakes when in the area! 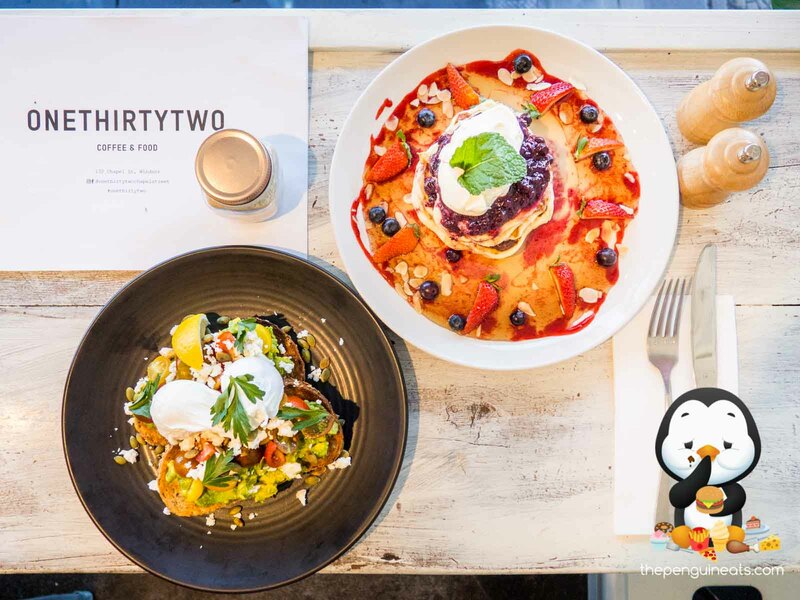 Penguineats would like to thank One Thirty Two for inviting us.